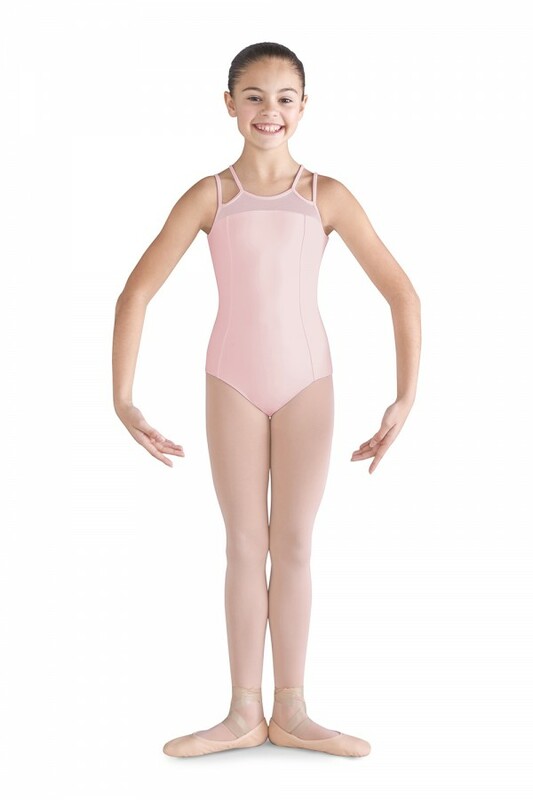 This unique double strap camisole leotard features a soft daisy mesh front yoke and back. A high front neck and back provides extra coverage while keeping sophisticated style. Front and back princess seaming for ballet fashion.